You will fall in love with the amazing sunrise & views over Birch Bay, extending to San Juan Islands & Mt. Baker! This panoramic view is stunning and the floor plan is spectacular, open & perfect for entertaining or just living! Light & bright kitchen open to eating area, formal dining & living room, Sip wine from the deck while barbecuing. Spacious Master, plus walkout lower level w 2nd kitchen, expansive family rm, & 3 more bedrooms. 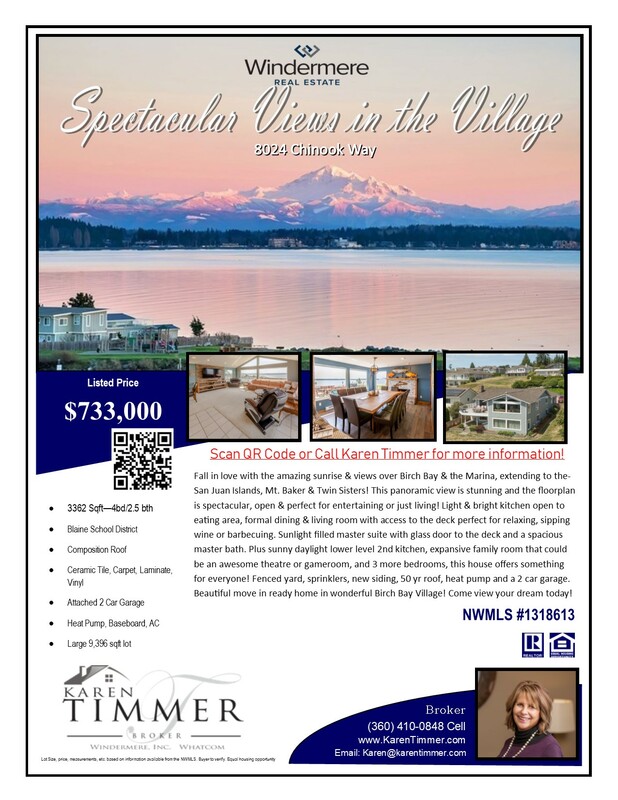 All this in fantastic Birch Bay Village, with something for everyone, view your dream today!